Babies have really sensitive skin and the product used should be the best. It’s not about the sensitivity but just that whatever we use should not be harsh on baby’s skin .So while choosing a lotion which is actually going to stay for quite a long time unlike the bodywash and shampoos which gets washed off you need to be cautious about the ingredients used. 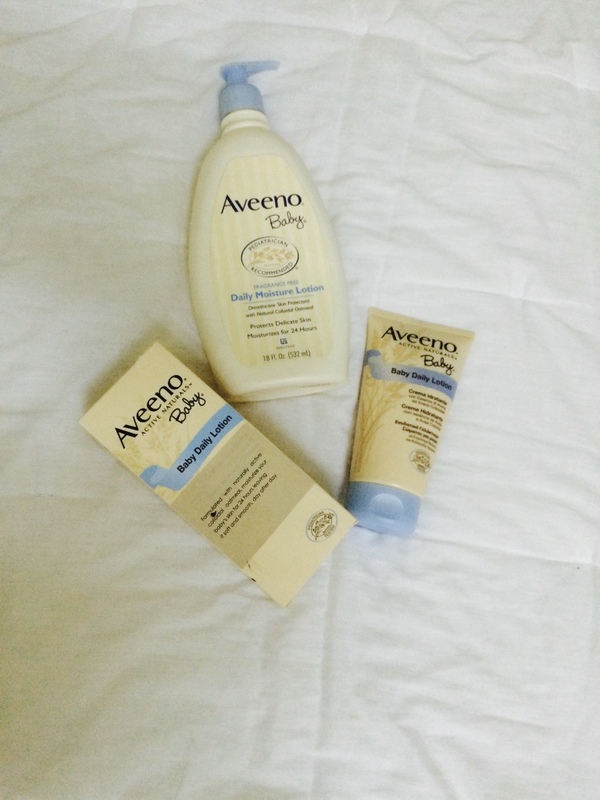 I have been using Aveeno baby products which was recommended to me by my sister and one of their products that we love is the lotion. The lotion I used till my baby was like almost 10 months was again from Aveeno Baby but was fragrance free as adding fragrance to baby products means adding the unnecessary chemicals which is simply not required neither is the fragrance required for babies. Anyways we are 10 months already and this time when we went out to shop for our favourite we didn’t get the Aveeno baby but instead got Aveeno Active Naturals Baby. So we thought let’s try it out. The product is light, non greasy and blends well, it stays on for quite a long time if applied right after bath.It keeps the skin hydrated for longest of time .My baby never faced the dry skin problems even in winters.It doesn’t give that sticky look which most of the baby products have that is one of the most important reason for me continuing with this product.I would highly recommend this product and will definetly keep it in our favorite list. Apart from that it has a good rating in www.goodguide.com which gives the rating based on the ingredients used. You can check out the site for other products that you are using as well. I have used Aveeno sunscreen and moisturizer. And i have always liked the results.